Aloha everyone! How's the year been going on for you? I am super busy cleaning the house in preparation of the upcoming Chinese New Year, and squeezing some time to do some crafts to keep me sane! This is one project that had been at the back of my mind for a long while, and I decided to get this going finally. This photo was taken in May at my ROM reception. I love this picture a lot. During the ROM reception, my best friend assisted me on every single thing - made sure that my make up is in place, that I had water to drink, and calmed me down significantly for the day. I am totally overwhelmed with gratitude with a best friend like her, and I know she is always there for me. Thank you Jaze. You hold a special place in my heart. The SS "So Fancy" collection was the perfect choice of papers for my photo with my best friend. 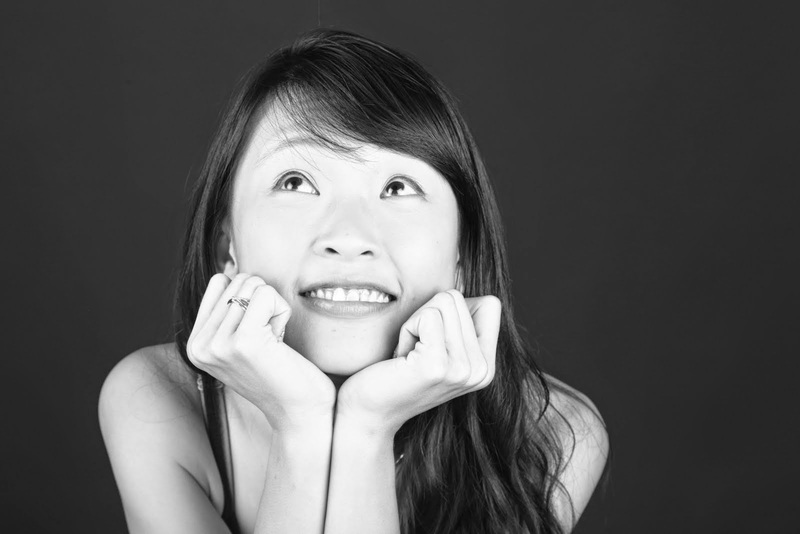 It is a fabulous journey as a friend with her. We knew each other during Polytechnic years, and our acquaintance blossomed into friendship. Over the years, it stayed true. We bicker (jokingly) all the time and we are never sick of it. In this layout, I wanted to show the kind of happy resilience friendship that we have. Therefore, I placed huge arrows as the background, and having smaller ones below to counter the top. That tells me much about the friendship we have! 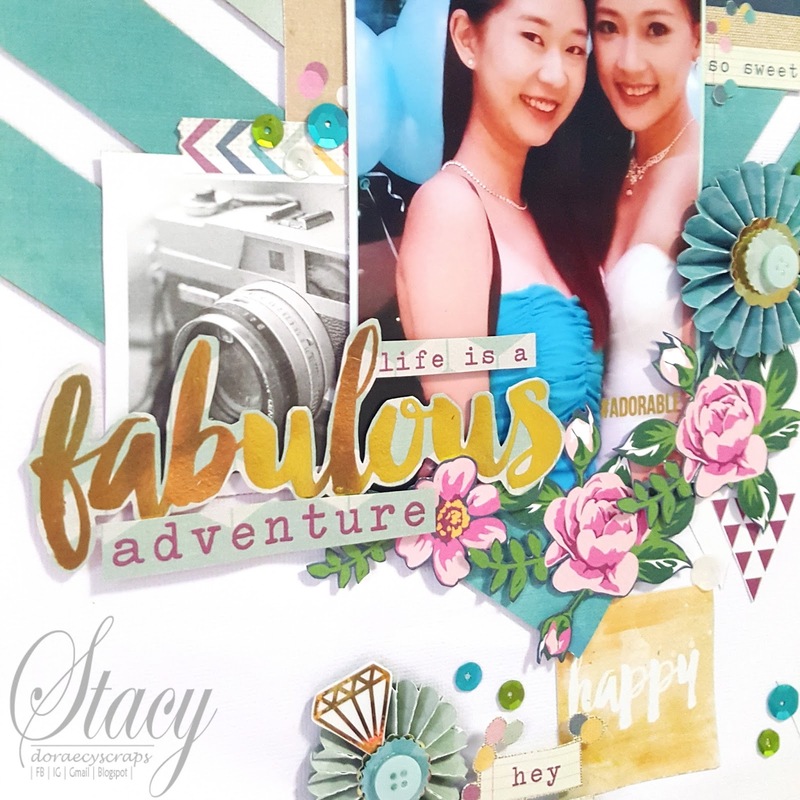 It is easy to decorate the layout with the Simple Stories "So Fancy" collection. Everything managed to flow in place and fixing this layout was probably another easiest one. You can see that I did manage quite a bit of fussy cutting, and it is also one of the reasons why I love SS papers. It really allows me to enjoy the crafting as it is meant to be. 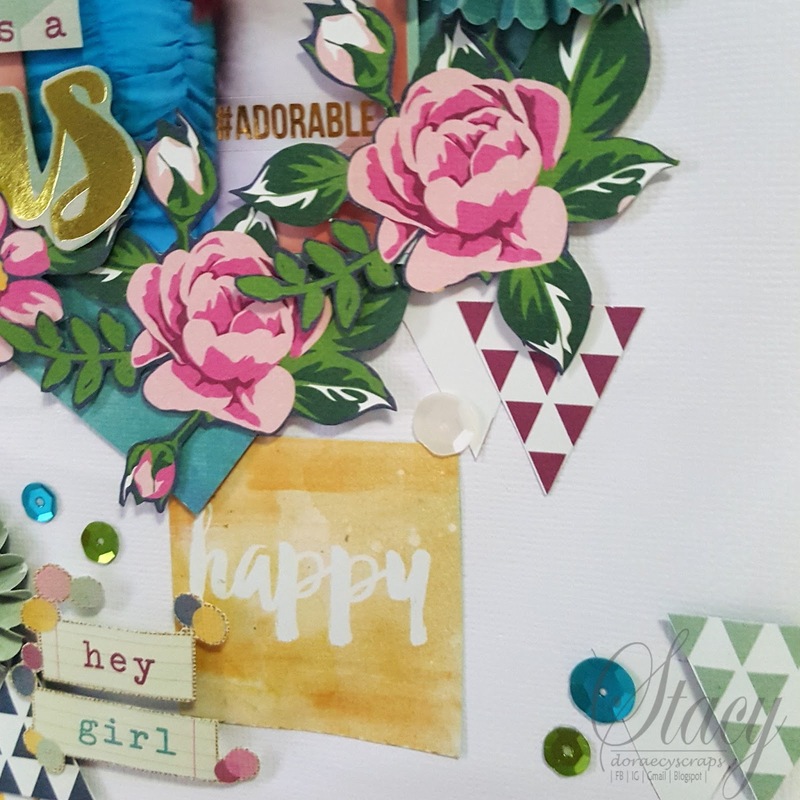 Fussy cutting is not only therapeutic, it also helps me to create different layouts of the bits and pieces to form a new type of embellishment. 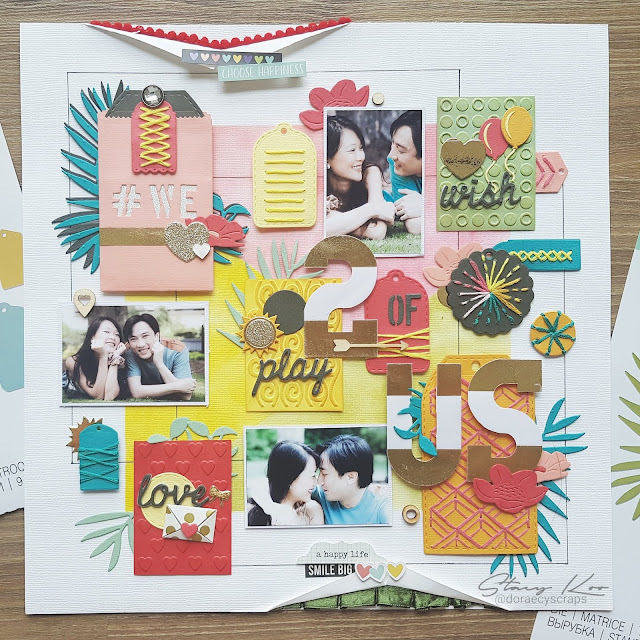 Hope you have enjoyed this layout and that it inspires you to create with Simple Stories. For my chinese friends, have a prosperous chinese new year!